It’s been a pretty busy time for me here in Oslo. I’ve been working daily on my Norwegian comprehension to prepare for the language sample. I enjoy learning but it has not been easy. I’ll be so relieved when I have completed my test and can continue to learn without the test looming. 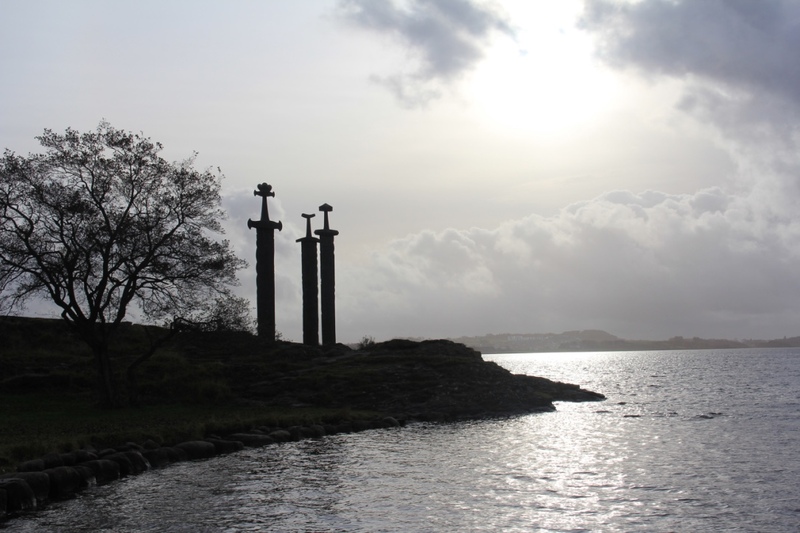 That said, I did get a break to visit Stavanger, Norway and would love to share a bit about that adventure. 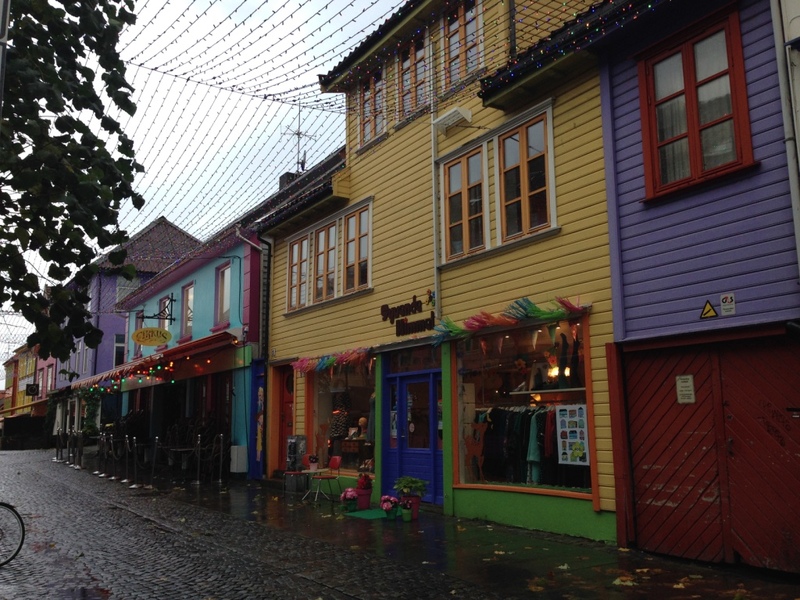 My husband had some work-related travel this week so I tagged along for 2 nights to explore Stavanger. Our first day, we actually got the chance to adventure together a bit. 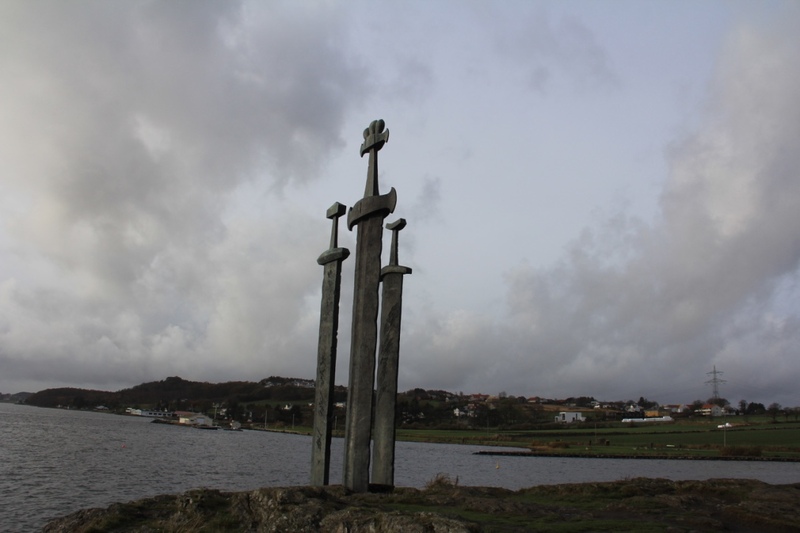 We visited the Sverd i Fjell (directly translated as Swords in Mountain but many people say Swords in Stone). It’s a short drive from the airport and a really beautiful sight to see. It’s flanked on one side with a small beach and sits on Møllebukta. 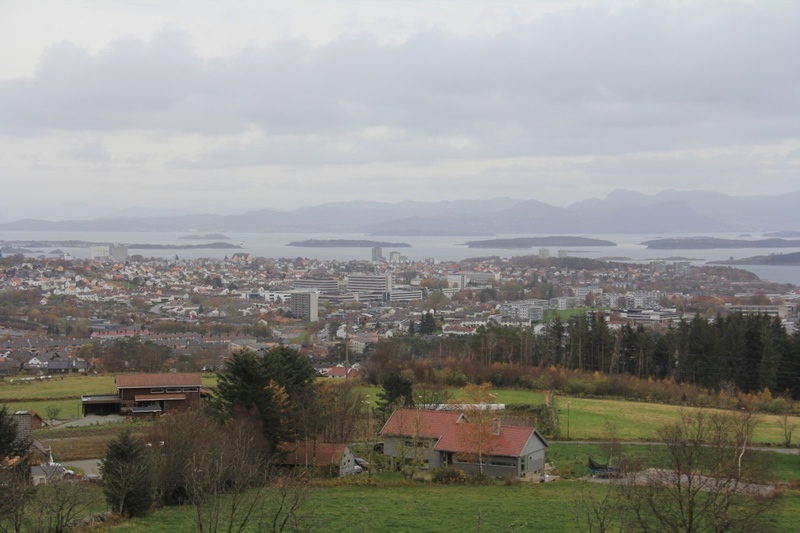 Next, we drove to Ullandhaug Tower which required walking up a really steep hill but getting a great view of Stavanger. You are able to walk up the tower and check out the excellent view. After the lovely view, we checked Tripadvisor for local eats and found The Shack. 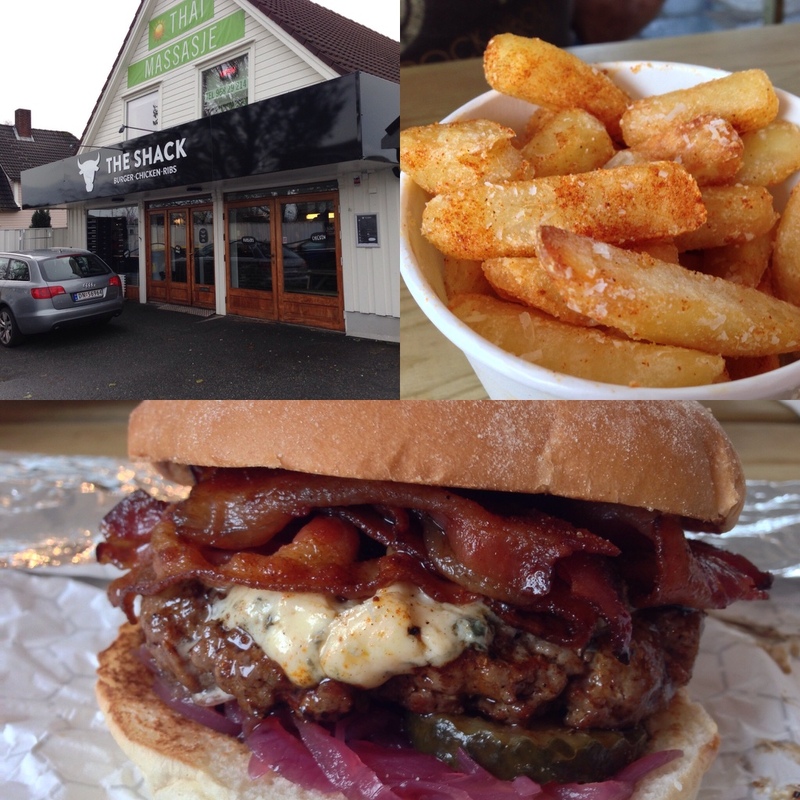 The Shack specializes in burgers and fries. I ordered the “Mr. Blue” which has bacon, grilled onions, red onion marmalade, pickles, blue cheese and shack dressing. I’m not a huge dressing fan so I ordered without. We also ordered fries. The burger was really juicy and had an abundance of toppings. This is definitely a messy burger but worth the trouble to eat it. One of the best burgers that I’ve had in Norway. You get all the yummy toppings with the hamburger in every bite. 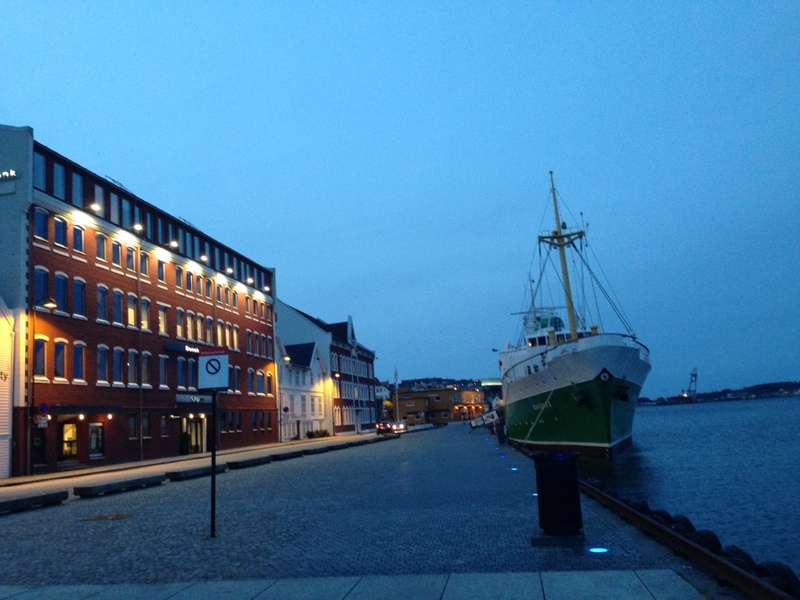 After indulging in a lovely burger, we relaxed back at the hotel then headed out to walk around Old Stavanger. The area of Old Town is pretty small – just a few streets – but a nice walk. All of the homes are painted white and the streets are paved with stones. 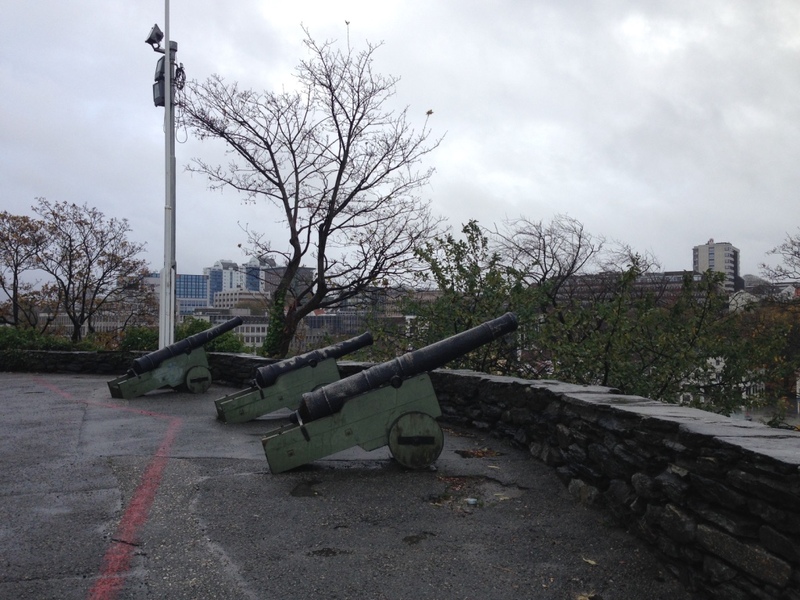 Also, the Norwegian Canning Museum is located in this part of Stavanger. Sadly, I was not able to visit this museum because they were closed on Mondays (along with many other museums in Stavanger). Next time, it’s on my list! 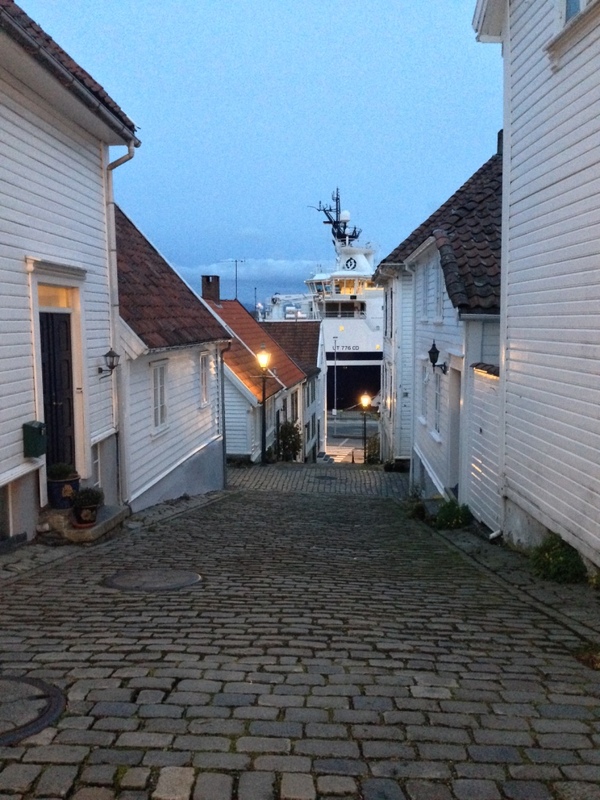 Stavanger is on the coast of the North Sea so it has a really charming downtown seaside. There are many restaurants and shops to visit as well as some interesting boats docked at the harbor. It felt a lot like home suddenly when one of the restaurants was playing a club mix of John Denver’s Take Me Home, Country Road. I had no idea the song was popular in Norway but enjoyed singing it from the other side of the harbor. We made our way towards John Denver and decided to eat at Sjøhuset Skagan, which was recommended to us. My husband and I weren’t incredible hungry so we ordered a first course and shared the second course. My husband started with the seafood soup and I had the smoked duck breast. The seafood soup had a nice balance of cream and fish and made you feel nice and warm inside. It featured mussels, fish and shrimp. 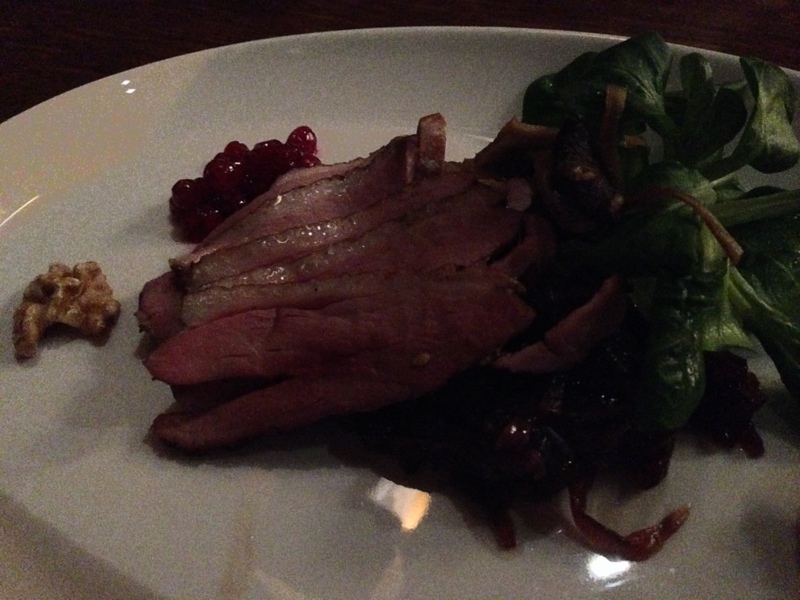 The smoked duck tasted really delicious with all the accompaniments (red onion compote, walnuts, mushrooms, mountain cranberries and corn salad). For dinner, we shared the fish plate. 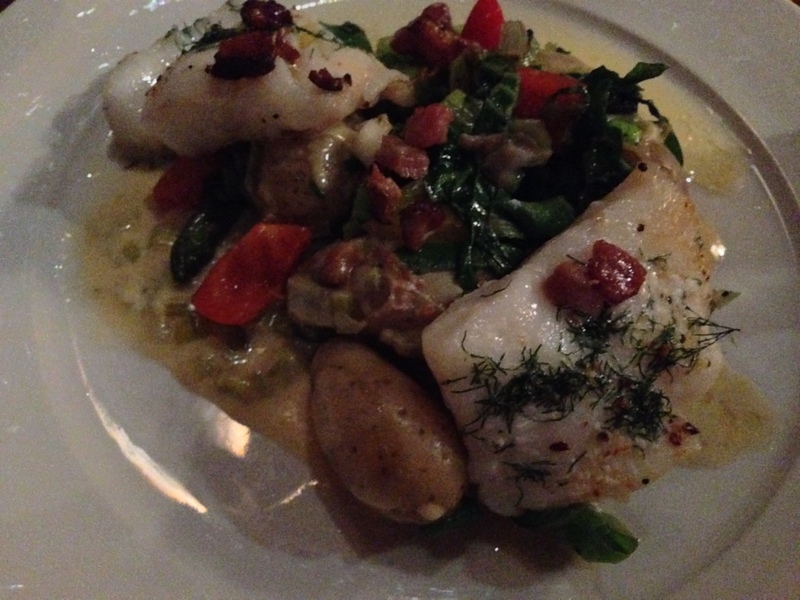 It had oven-baked cod and rose fish with creamy leeks, sautéed vegetables, bacon and boiled potatoes. The fish had some large bits of salt on it which I enjoyed. Needless to say, we finished the plate and were very satisfied with our choice. 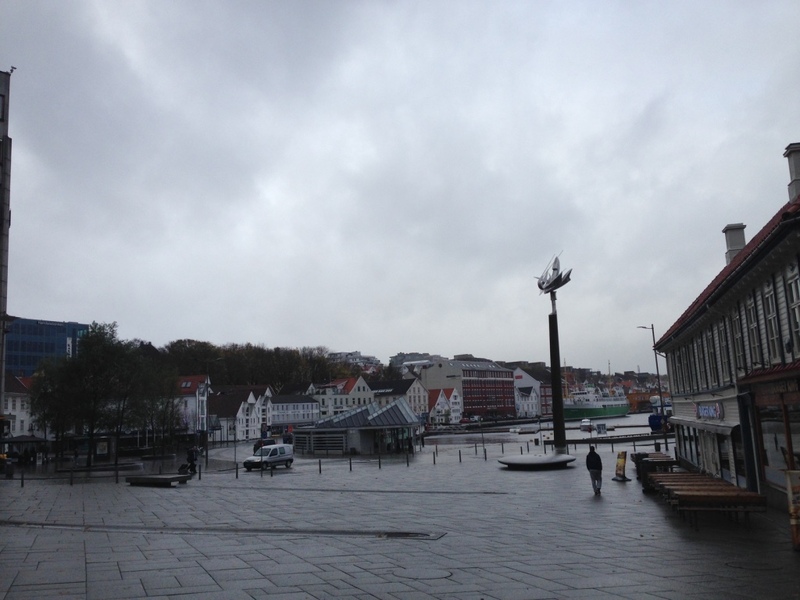 The next day was Monday and I was on my own to adventure around Stavanger. I was pretty excited to visit a few more sites until I looked out the window… windy and a ton of rain. Well, it wasn’t going to scare me; therefore, I got my jacket with hood and umbrella and headed outside. 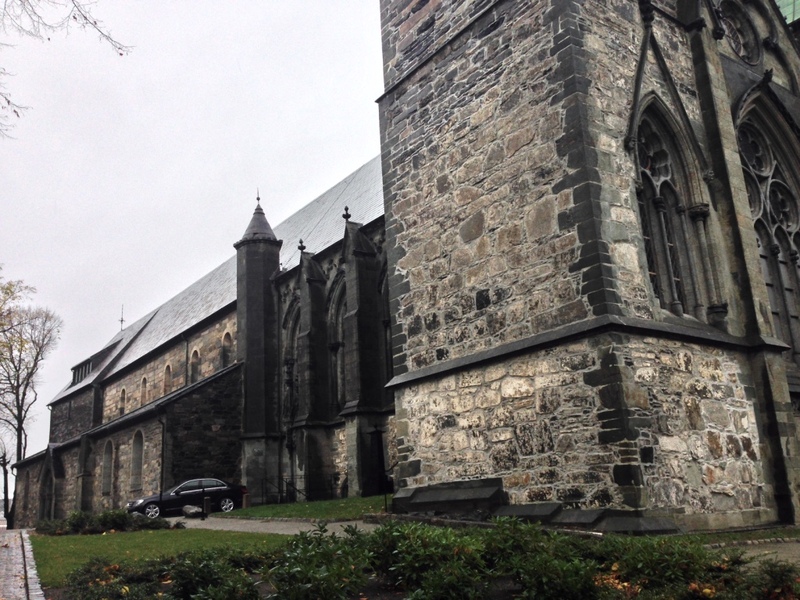 My first visit was to the Stavanger Domkirke whose foundation was built in 1125. 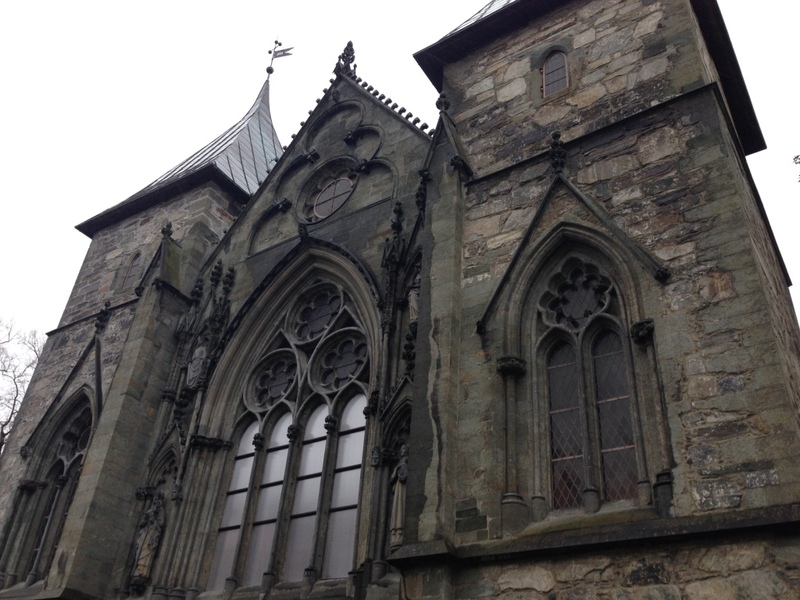 I first walked around the church and admired the stonework and sheer size of the cathedral. Inside, there were workers doing repairs to the organ (I think) so some of the inside was roped off. The interior of the cathedral has a lovely simplicity in design with a few very ornate items. 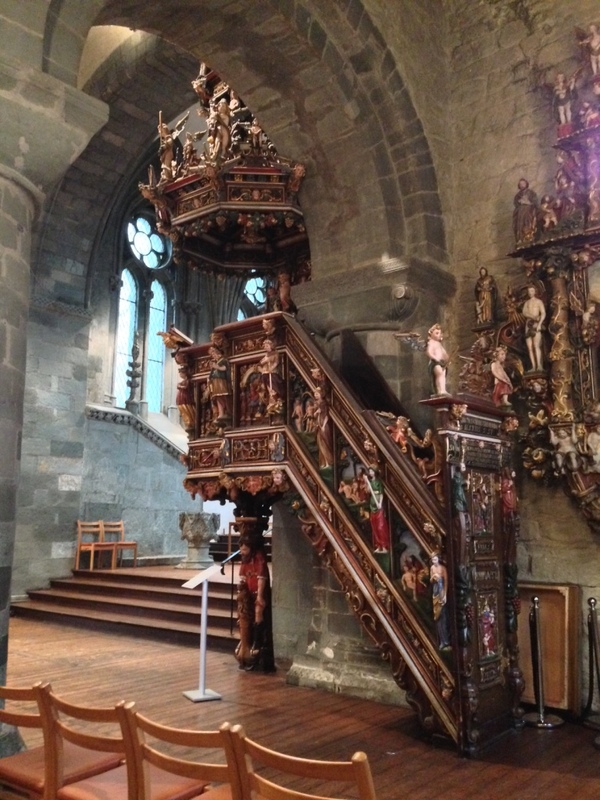 For example, the pulpit was really ornate and beautiful. It was built in the 1600s and you can see the painstaking effort that the artist took to craft it. 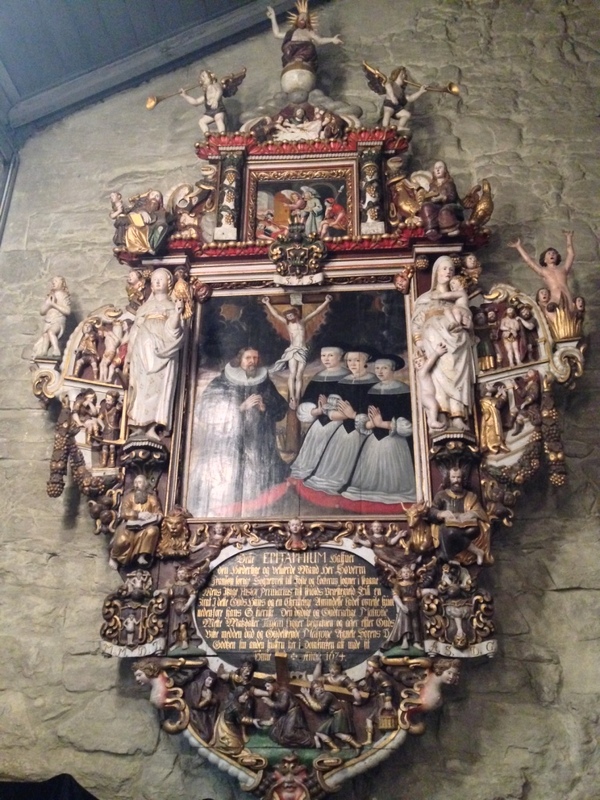 Additionally, there were several carvings and paintings featured on the walls of the cathedral, also from the 1600s, of prominent families from the time period. 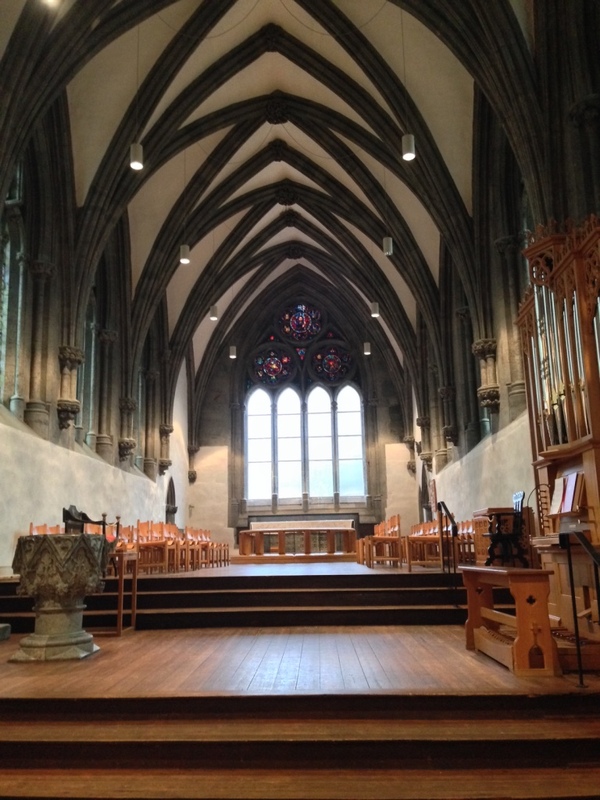 The Stavanger Domkirke was a lovely mix of austere and ornate. 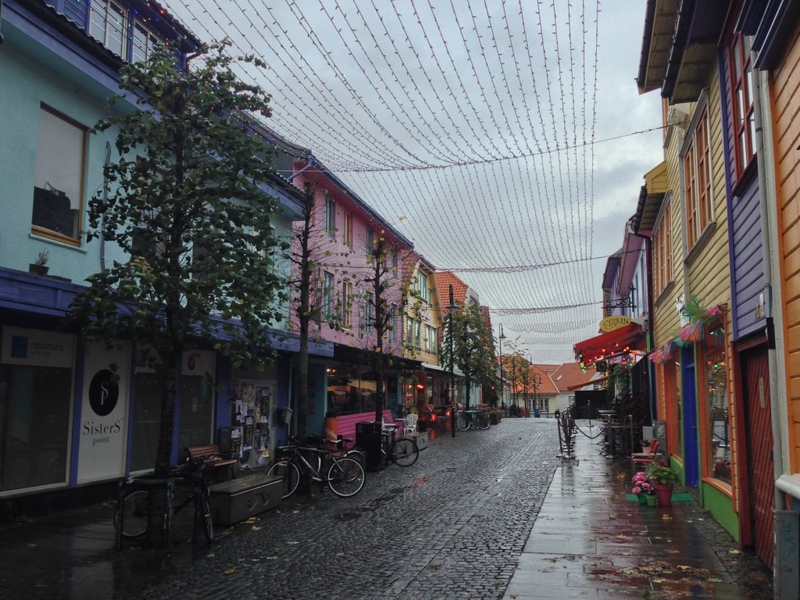 Next, I walked into the downtown shopping area and found my way to Øvre Holmegata, or Fargegata, where the street features colorfully painted restaurants and stores. The instance you see this street, I can’t imagine not smiling. Even amongst the rain, it was really quite a site. I made my way down the street enjoying the colors and quirkiness. 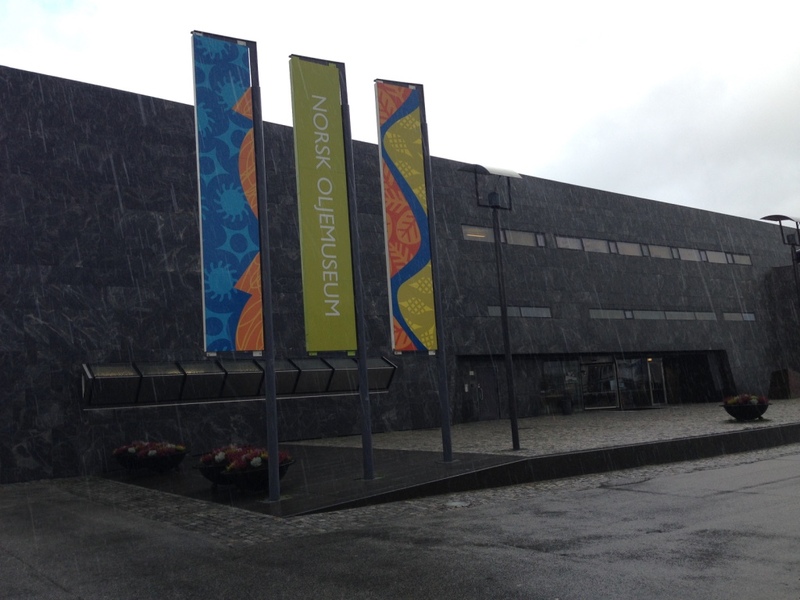 After walking down #fargegata, I decided to visit the one museum open on Mondays in Stavanger. (If you want to see museums in Stavanger, don’t go home on Tuesday morning like me.) 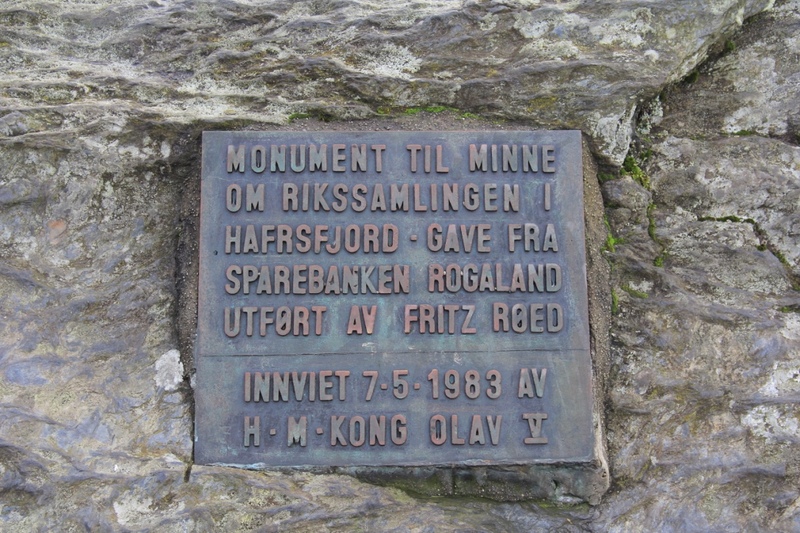 It was the Norsk Oljemuseum or Norwegian Petroleum Museum. I wasn’t sure how much I would enjoy this museum but I found it very interactive and informative. I recommend it for all ages. There was a lot of information presented and questions posed about the health of the earth moving forward. I enjoyed the interactive second floor where you can pretend to be a member of the team. These jobs are definitely not easy and quite dangerous. 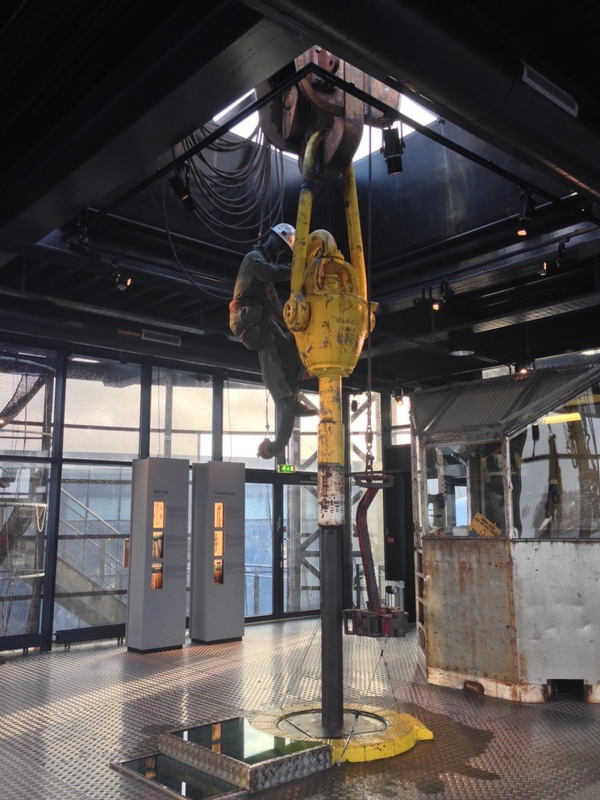 While I tend to support more eco-friendly options, this museum educated me on petroleum, the process for obtaining it and its impact on Norwegian economy. There are two short movies which I also enjoyed. All in all, I spent 1.5 hours there which is nearly record as I often get bored quickly in museums. 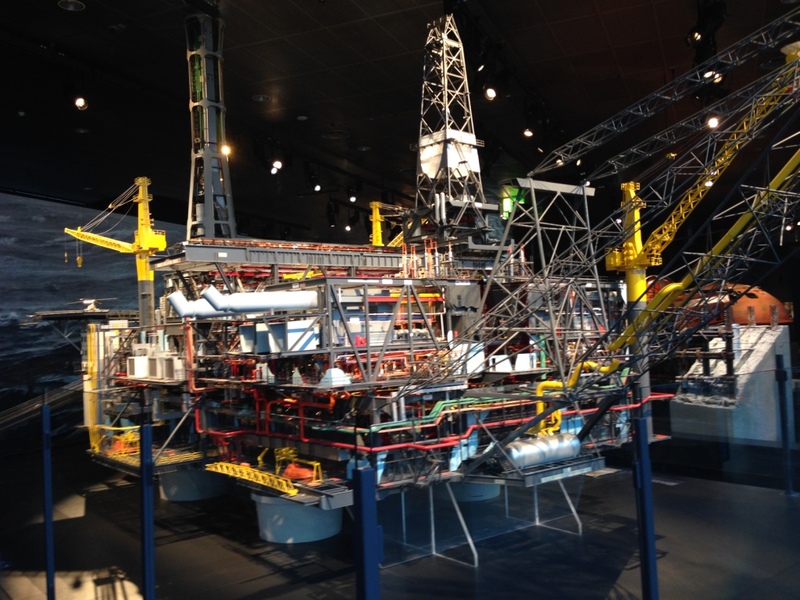 No matter your opinion on drilling for oil, this museum is very informative and gives you a look into its importance to Norway. I met back up with my husband for dinner and we decided to go to Noodle Noodle. I have to be honest… finding decent Asian food (with the exception of delicious sushi) has been challenging. I saw that this place was highly rated amongst all restaurants in Stavanger so we decided to give it a try. The restaurant is inside a small mall called Magasinblaa. It’s a bit unassuming when you arrive – just a small counter with maybe 10-12 tables surrounding it. 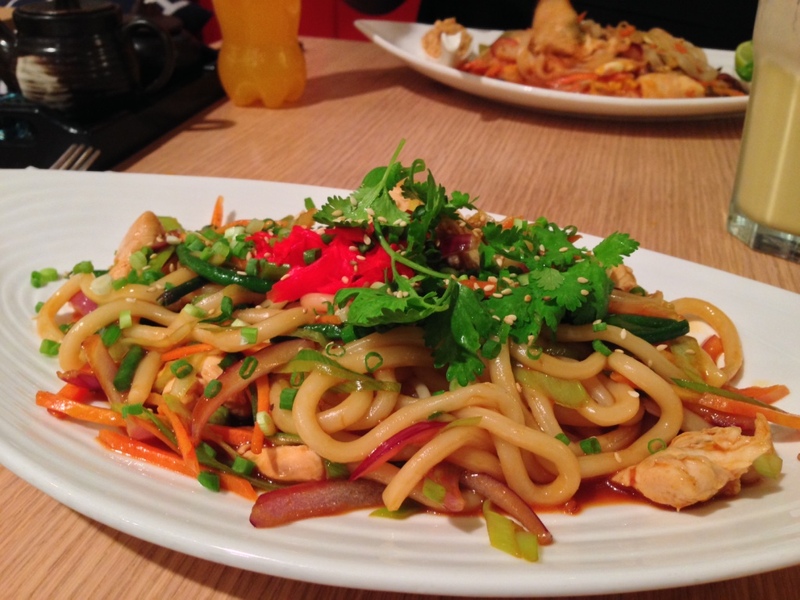 We decided to order noodles – obviously. I ordered the chicken ginger sesame udon noodles and my husband ordered the spicy thai noodle. My dish was really very good. I love udon noodles and the sauce had a lovely ginger flavor. It was packed with veggies and chicken. My husband enjoyed his spicy thai noodle; however, it was not very spicy. 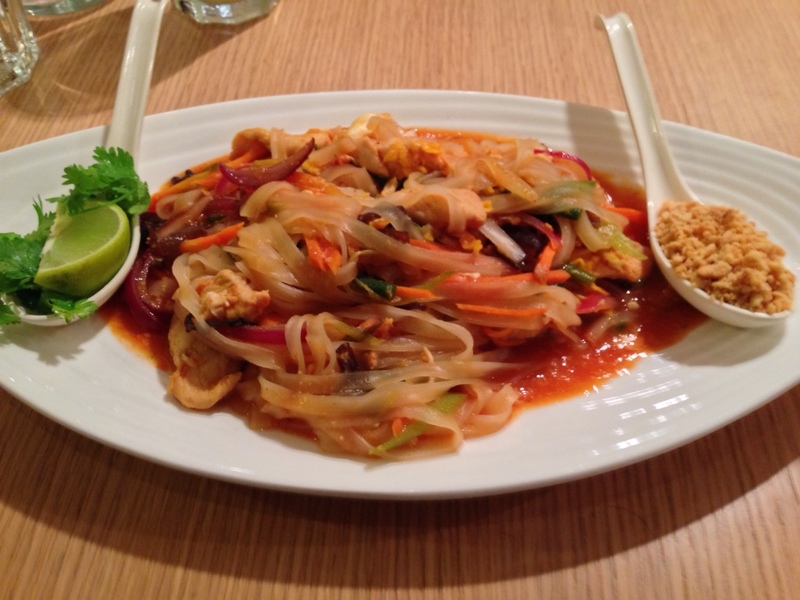 If you order this dish and want spicy, I suggest making a specific request to pump up the heat. That said, the flavors were really tasty and both dishes proved to give us hope to find more tasty Asian food in Norway. Not only that but with a soda, mango lassi and these two dishes, we didn’t pay more than 400 nok ($46) which is a very reasonably priced dinner in Norway. All in all, I had a great time in Stavanger for my 2 night stay. I didn’t make it to any of the hiking adventures one can take but hope to try that sometime when the weather is better. I’m really enjoying these opportunities to explore difference parts of Norway. I hope to continue to visit different locations. Each location offers it’s own specialty and charm. 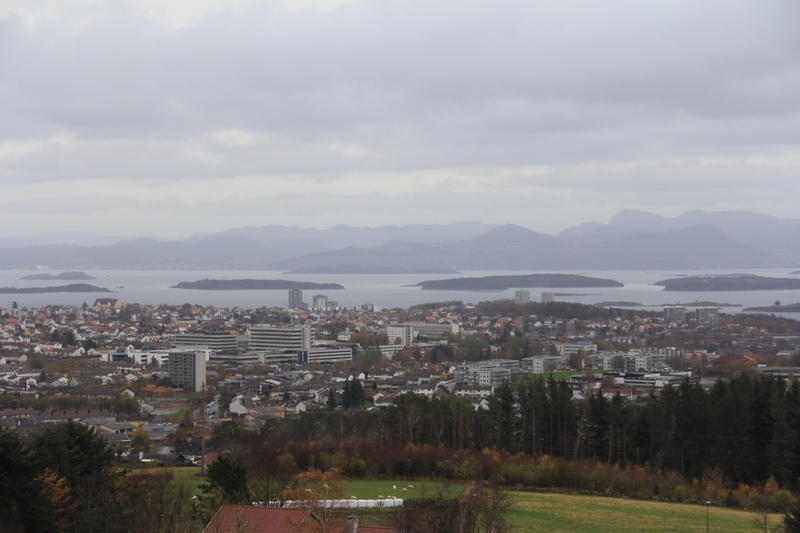 As I continue to explore Norway or other parts of Europe, I’ll be sure to blog! Thanks, Camille! Did you make it to any of the sites I blogged about? 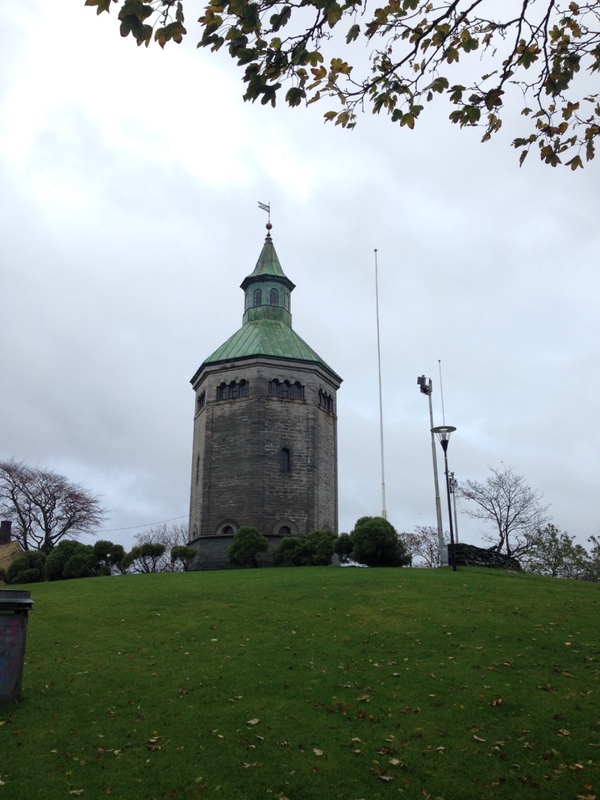 I went to the Swords, Ullandhaug Tower, Old Stavanger , Cathedral but never went inside. 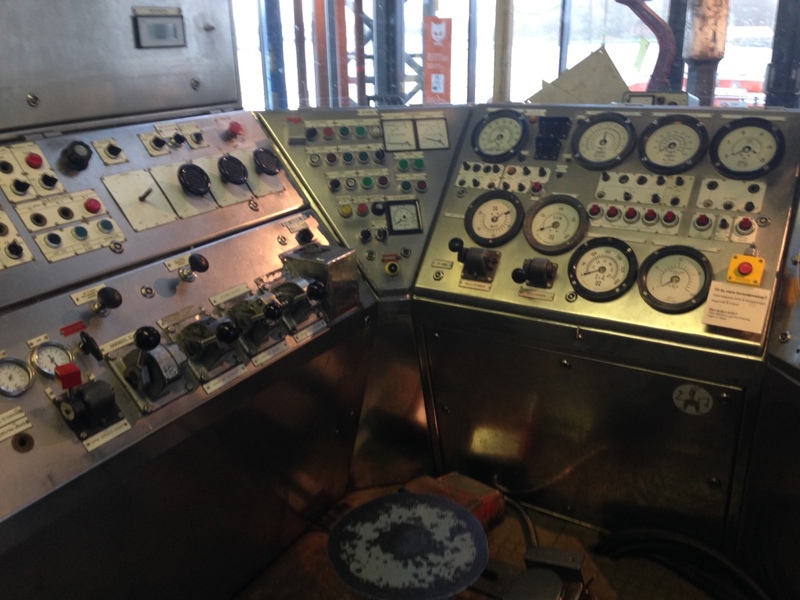 Also went to the Oil and Petroleum Museum. I started following you the moment I read that post. Well I think I really need to familiarise myself around Stavanger since my boyfriend lives there and I have no clue about the area. There’s a big shopping centre in Sandiness called Kvardat. Nice. Stavanger seems like an interesting city. I live in Oslo and am happy to share if you need suggestions! Thanks for the follow!